Targets latest and maybe greatest collaboration? The jury is still out until February 9th but if you're a print lover get ready to shop! 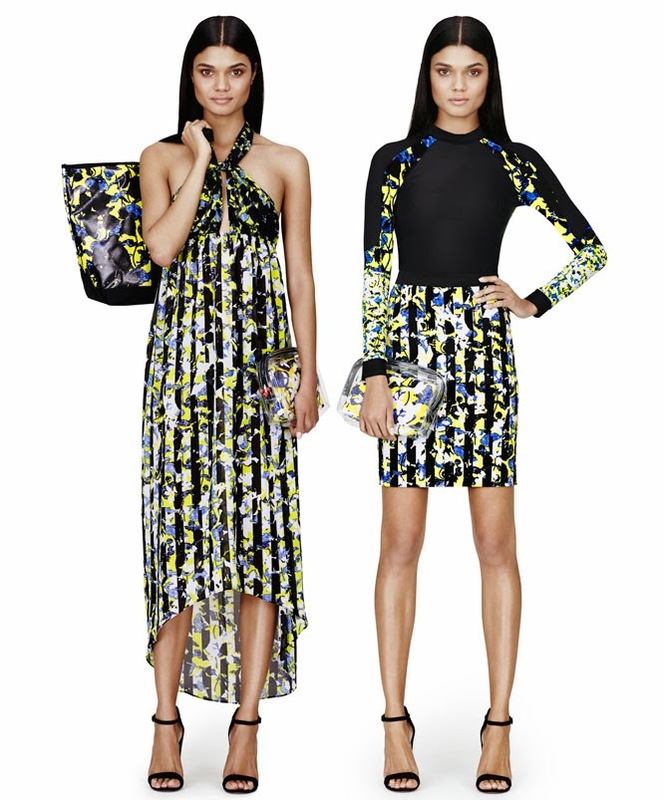 Peter Pilotto is Target's latest designer collab. And if you have never heard of this London brand or its design duo, Peter Pilotto and Christopher De Vos, the dresses from their regular line sell for over $1,000. So it will be interesting to see the quality of this line for Target, with prices ranging from $14.99 - $79.99. Certainly they are staying true to their flair for textiles. The line features 70 pieces of women's clothes, accessories, and swimwear. "Our brand is about print, yes, but it's also about the emotional feeling you can get from color & color combinations." Gwen Stefani made her nail debut this month in a collab with OPI featuring 7 limited addition lacquers with some clever names! Over & Over A-Gwen, the red lacquer, to match Gwen's infamous red lip color, sold in a set including Swarovski crystals, silver, gold and pewter stubs and shapes. Push and Shove, which when paired with Lay Down that Base gives a mirror finish. Love.Angel.Music.Baby and 4 in the Morning which have a semi matt finish and Hey Baby, I Sing in Color and In True Stefani Fashion, cream lacquers and a sparkly glitter shade. Priced from $9 - $15. 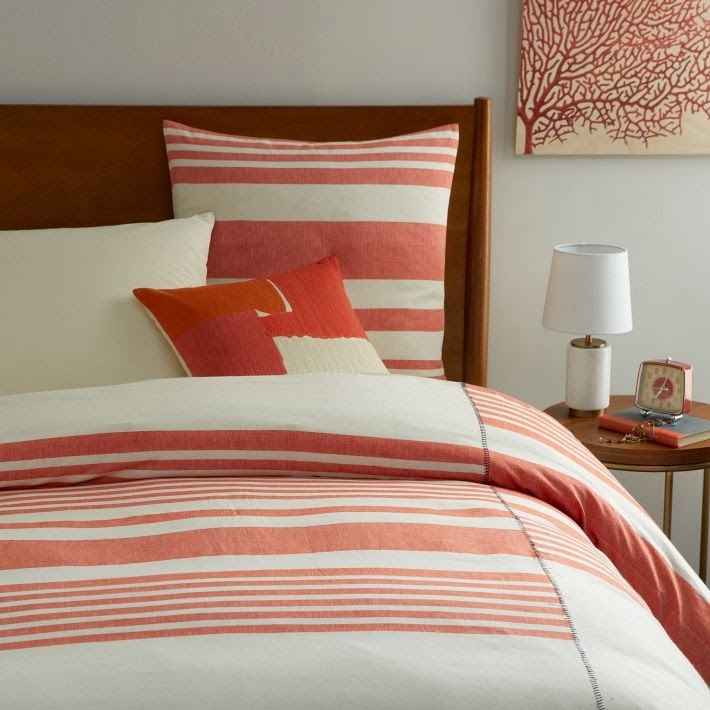 January also brought New York designer Steven Alan and his stripes to West Elm for a collection of stripe bedding, vases, rugs and side tables. The coolest thing about the collection, in addition to its looks, is that the bedding is from a cooperative that supports rural Indian spinners and weavers. The vases are hand crafted by Nicaraguan potters via the fair trade market Chaka Market Bridge. The rugs are hand woven by Indian Artisans and the side tables are handcrafted in Haiti and made entirely of papier- mache'. Prices from $29 - $850.